While the efficacy of cognitive behavior therapy for insomnia (CBT-I) has been established with well-controlled studies, its effectiveness in typical clinical practice remains to be determined. We examined the effect of CBT-I combined with usual medication on night-time sleep, daytime functioning, and the discontinuation of hypnotic drugs. 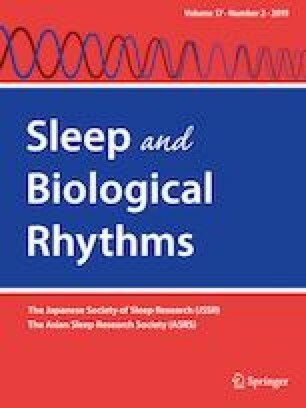 The study recruited 103 patients with insomnia, who were divided into three groups: CBT-I only (CBT-I, N = 30), CBT-I combined with usual medication (COM, N = 48), and usual medication only (TAU, N = 25). A six-session CBT-I program was delivered in the CBT and COM groups, and patients in the COM and TAU groups continued to take the medication prescribed by their physicians. All groups showed significant improvements in the Insomnia Severity Inventory. The CBT-I and COM groups showed significant improvements on two subscales (vitality and physical role functioning) of the 36-item Short Form Health Survey. There was no significant improvement in the daytime functioning of the TAU group. Moreover, significantly more participants in the COM group discontinued their use of hypnotics. CBT-I in addition to regular medication is an effective treatment option in clinical settings. It can improve not only night-time sleep, but also daytime functioning. Furthermore, it can be helpful in facilitating the discontinuation of medication. Our results support the utility of CBT-I in clinical settings, and it can be integrated into the patients’ usual treatment protocol. Funding was provided by National Science Council (Grant nos. NSC95-2413-H-004-020-MY3, NSC104-2410-H-004-044-MY3). All procedures performed in studies involving human participants were in accordance with the ethical standards of the institutional committee and with the 1964 Helsinki declaration and its later amendments or comparable ethical standards.